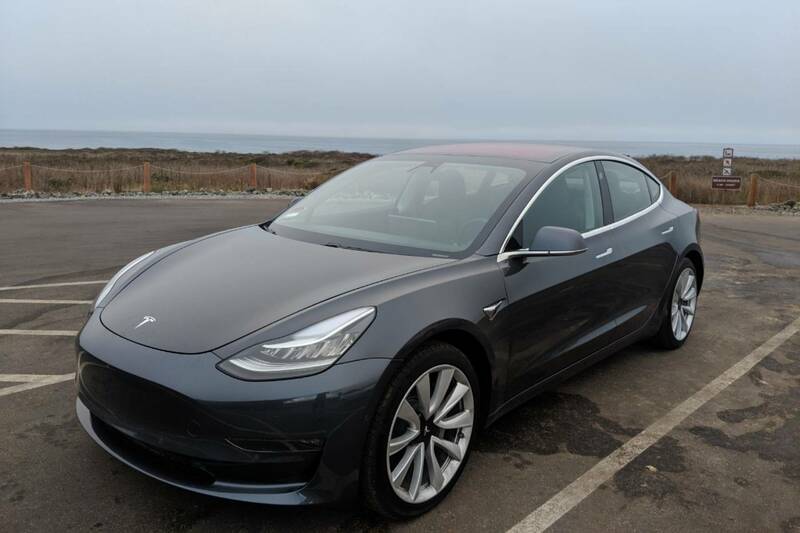 This is the first of a series of reports on buying and living with a Tesla Model 3 – the compact all-electric executive car, UK-bound for 2019. We haven’t been given the car by Tesla. Indeed, Tesla isn’t even aware we’re doing this. It belongs to a friend of Motoring Research who has bought a Model 3 with his own money. Also, he’s located in California, so we haven’t even physically seen it. 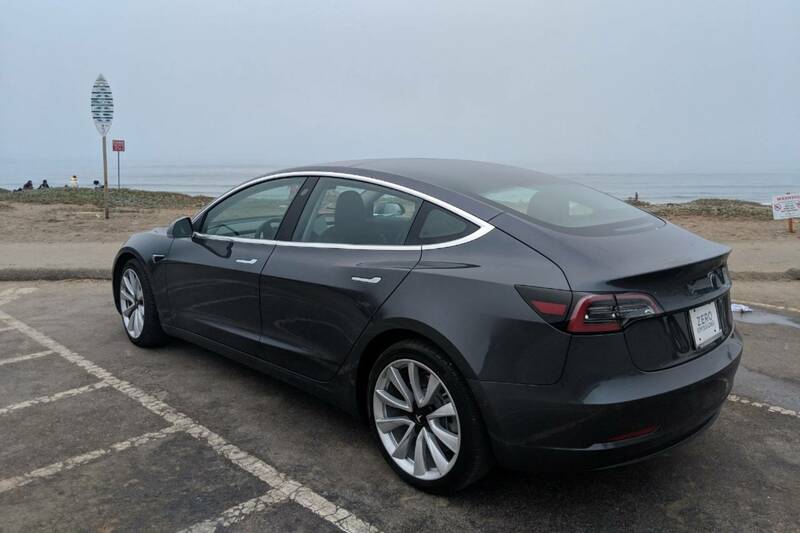 We’ll relay his experiences – positive and negative – of buying and running a Model 3. The volume and intensity of the conversation surrounding Elon Musk and Tesla is fairly steep. As such, a no-nonsense running report on this market disruptor seems timely, and hopefully useful. Our friend was UK-based, but emigrated to the US for work. He had a passing interest in electric cars without ever owning one, so buying brand-new is no small commitment. Importantly, he’s not a motoring journalist, so can offer a different (dare we say more realistic?) perspective. 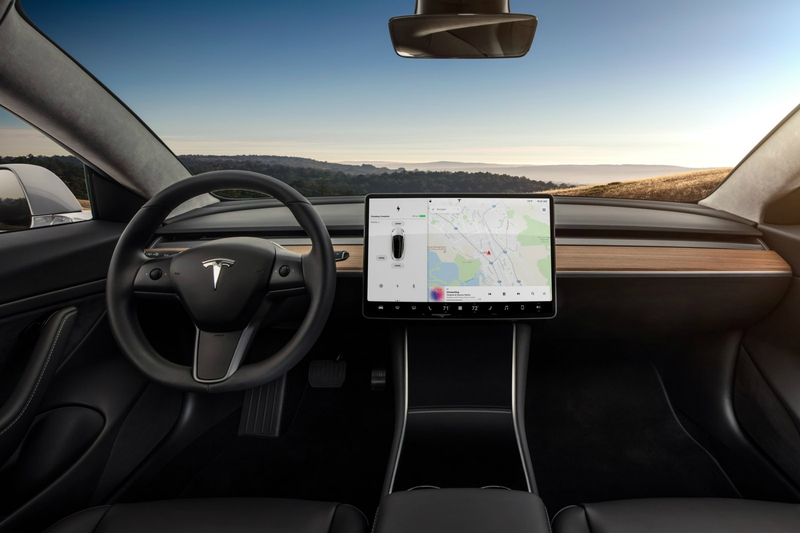 Don’t expect stories of measuring panel gapsor calling the press office about problems – although the quality of the Model 3 is something we’ll be asking about. This is a real consumer giving his verdict on his new car. 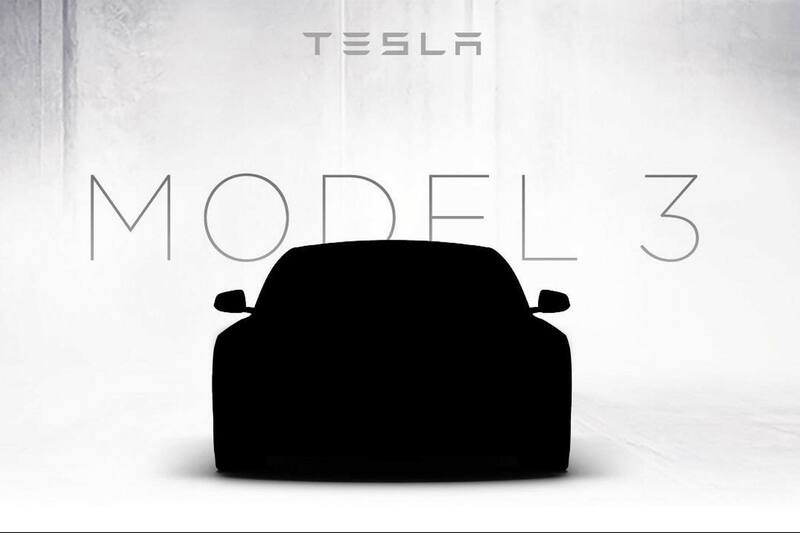 Whatever comes of it, we hope to provide a unique insight into the love-or-loathe world of Tesla via its most important car to date – the Model 3. The car was ordered on the 10th of September and delivered on the 14th, although we suspect it wasn’t built within those four days. 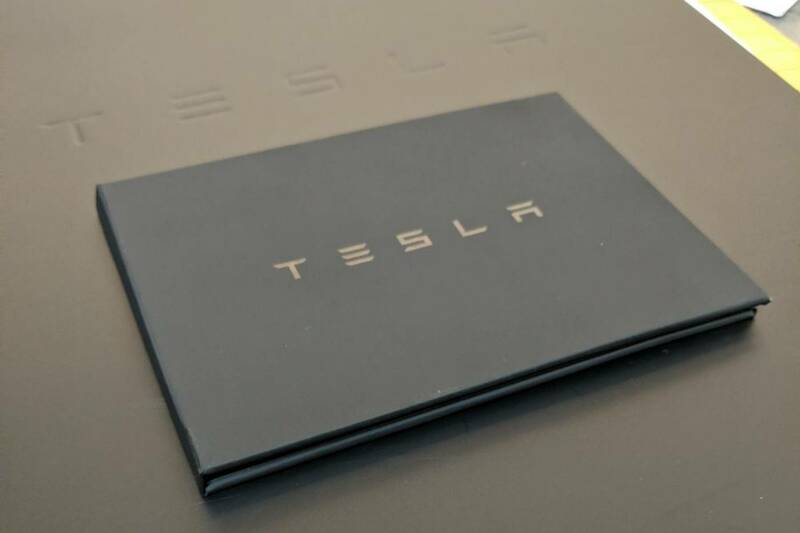 Tesla’s US website site says typical order-to-delivery time is ‘within four weeks’ so it seems he bought an existing car. Delivery time for the dual-motor all-wheel-drive model was quoted as three months. Our friend was a bit impatient and thus opted for rear-wheel drive. 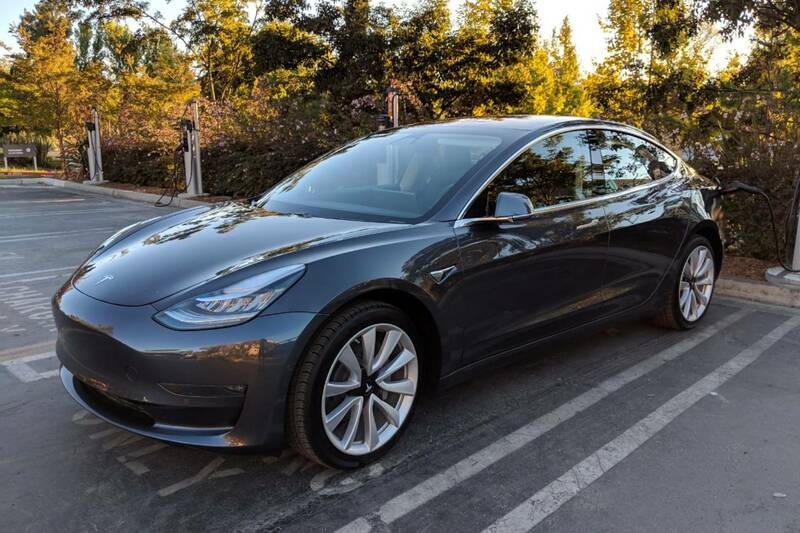 His Model 3 is the long-range version with Sport wheels in Midnight Silver. 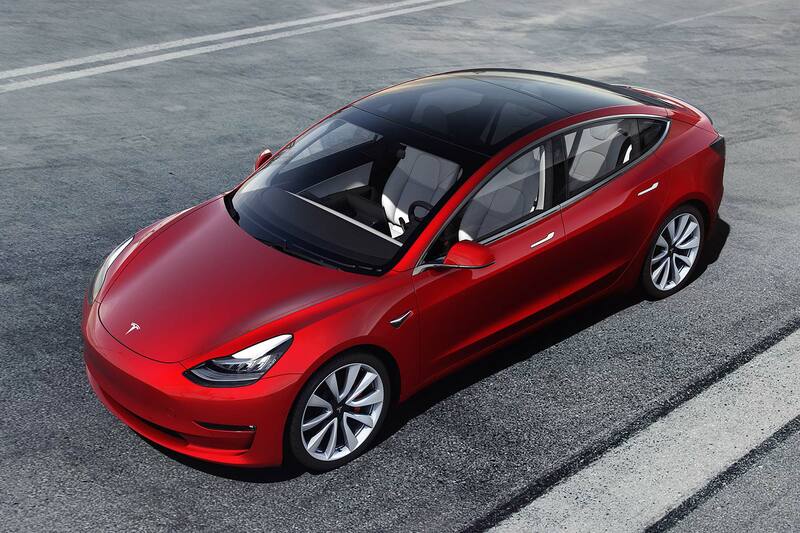 On paper, figures for the Model 3 look impressive: a 310-mile range, 5.1 seconds to 60mph and 140mph flat-out. We’ll report back on how it fares in the real world, with a particular emphasis, we expect, on that range figure. Remembering we’re trying to be impartial and stand aside from internet-wide Tesla hysteria here, the initial news isn’t good. The car arrived – brand new – with a dent in the door. Our friend accepted the car on the condition that it was repaired for free, a courtesy car was provided and that he got a year of free Supercharger access. 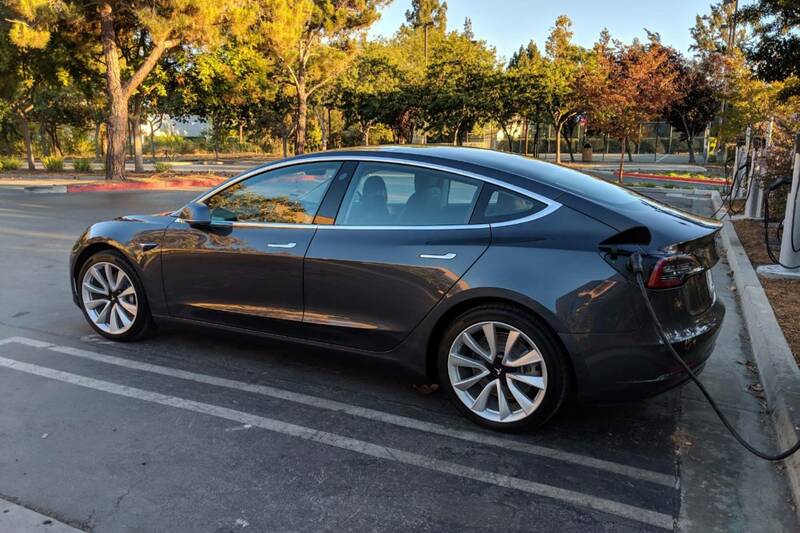 Remember, the Model 3 doesn’t usually get free juice like the Model S and X do. On the one hand, you expect a new car to be of a condition and quality that can’t be questioned. On the other, the compensation seems adequate. Our friend says that, other than the dent, quality is absolutely fine. The panels all fit correctly, there’s no peeling rubber, no mismatched interior trim or any other such blunders. 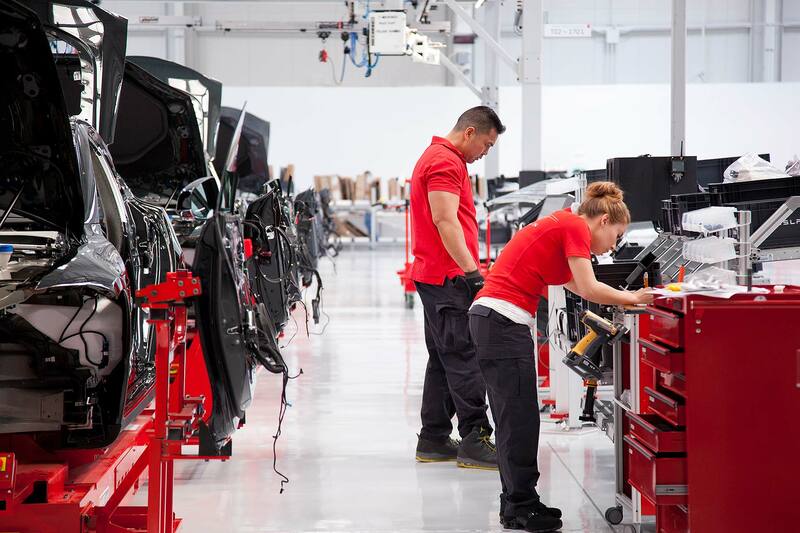 What many decide to forget when ranting about Tesla is that most car manufacturers have experienced and continue to experience quality control issues. Clichés don’t materialise out of thin air – car buyers have decades-long experience of continuous mis-steps in quality from certain manufacturers. Where you can legitimately critique this car is with regard to something all buyers will face: the learning curve. If the future is now, it shouldn’t be intimidating. 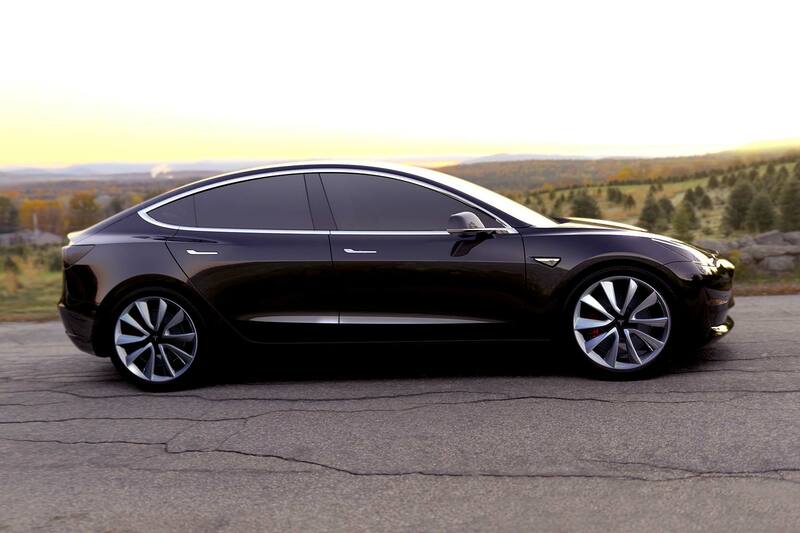 Teslas represent the future but they’re also cars we’re being asked to buy now. 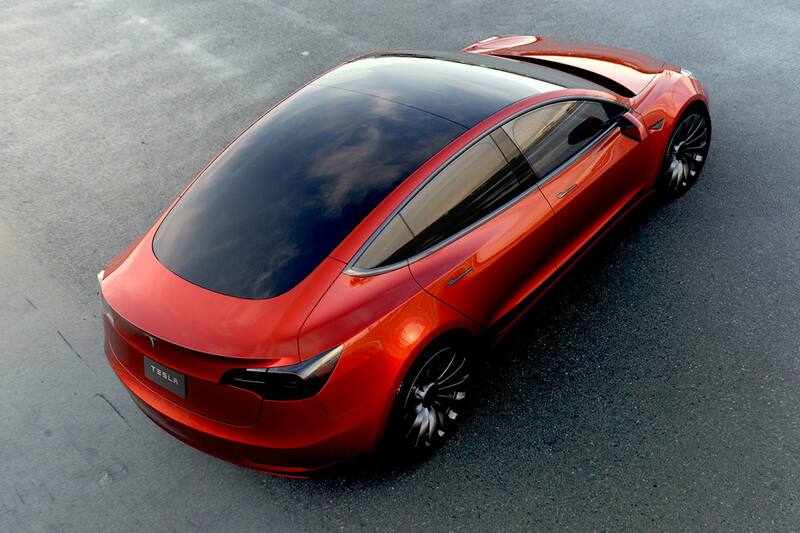 In terms of aesthetics, Tesla has nailed this. All of these cars are attractive in very contemporary sense. Generic and sleek rather than edgy and weird. Upmarket rather than prop-reject from a sci-fi film set. Inside, however, it’s a different story. Yes, it’s very attractive, but almost everything is digitally controlled. How does this work in real life? Our friend needed a few minutes to work out how to roll down the windows and even get the passenger door open. It’s all stuff you get around within minutes. An hour of sitting in it and familiarising yourself goes a long way, as it turns out. Nevertheless, some of the more change-resistant among us might jump in one to try it and be instantly put off. Some of the futuristic toys are, of course, absolutely superb. Checking on and controlling the car via the Tesla app is a revelation. “I just cooled the inside of my car from 100F to 75F. Remotely,” our friend brags. 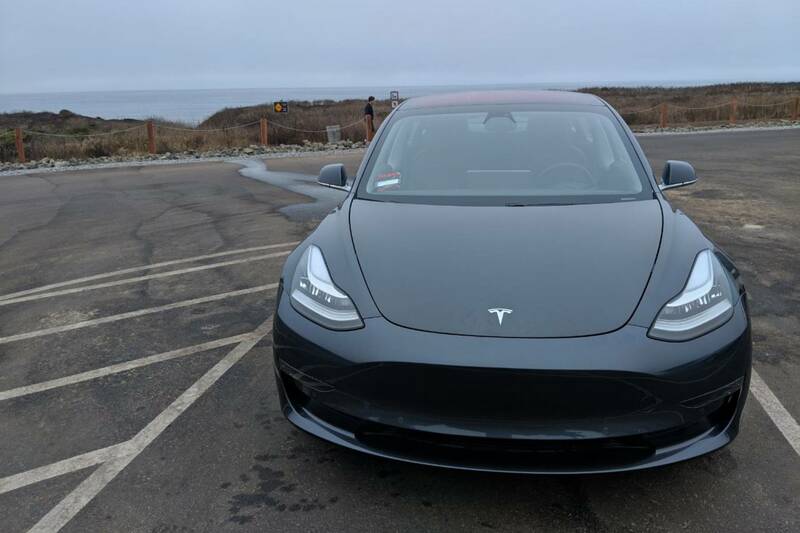 Where better to give your Tesla its first proper run than Highway One? This is an aspect of the future we’re all happy to get on board with, and our friend was bowled over by the Model 3’s performance. “The torque at 50mph feels like pulling from standstill. It’s exhilarating”. “You’re going to break my neck” was one comment he received from his passenger. 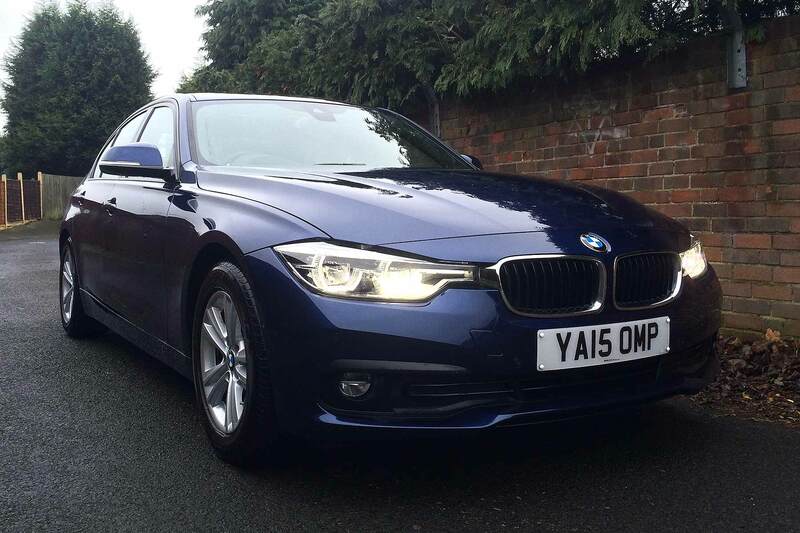 It impresses in the turns, too – a good job given this is touted as a small executive car above all else. “The centre of gravity feels low like you’d expect. Very stable in corners”. That’s the benefit of much of the drivetrain weight sitting comfortably below the door handles. In terms of braking, our friend was oddly comfortable with the idea of simply letting off the throttle. 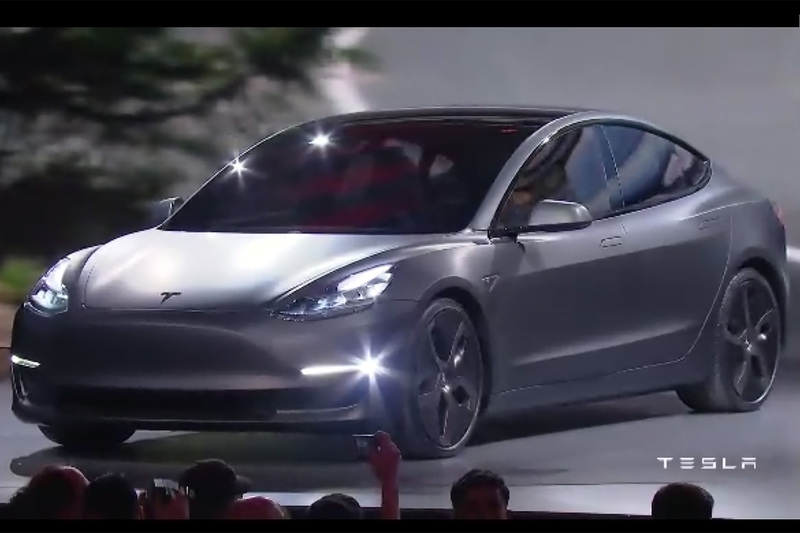 The Tesla Model 3, like many EVs and hybrids, has regenerative braking. Off-throttle, the motion of the car is translated back into electrical energy via the motors, with a side-effect of the car slowing down. With a good part of a day spent driving and, shall we say, ‘testing’ the car, you might have expected the range to take a significant hit. Our friend charged the car to 90 percent the day before, with a view to taking it for a good run, after which it went from 90 percent to 66 percent charge. Apparently, the estimations of remaining range hold true, too: a solid 270 miles to a charge. What range anxiety? Charging is something of another story. Unless you’re Supercharging, you need to commit extended periods of time to juicing up. “The phone app shows the time to charge 90 percent. 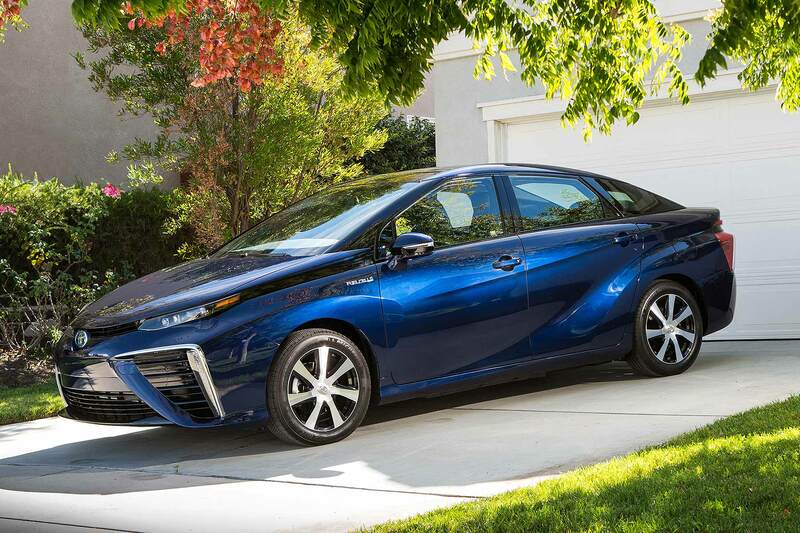 It arrived with 40 percent charge and will take six hours to refuel,” was one comment. 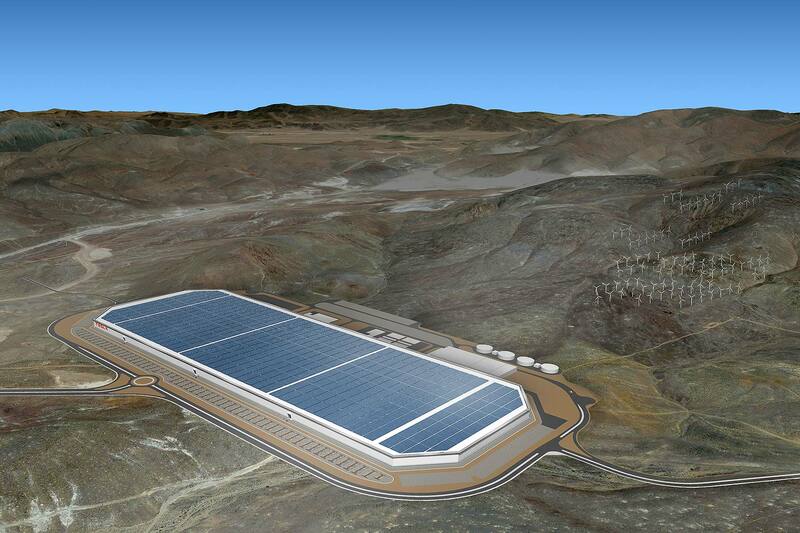 Anyone with a remote interest in cars will have been closely watching the story of Tesla as it has unfolded. 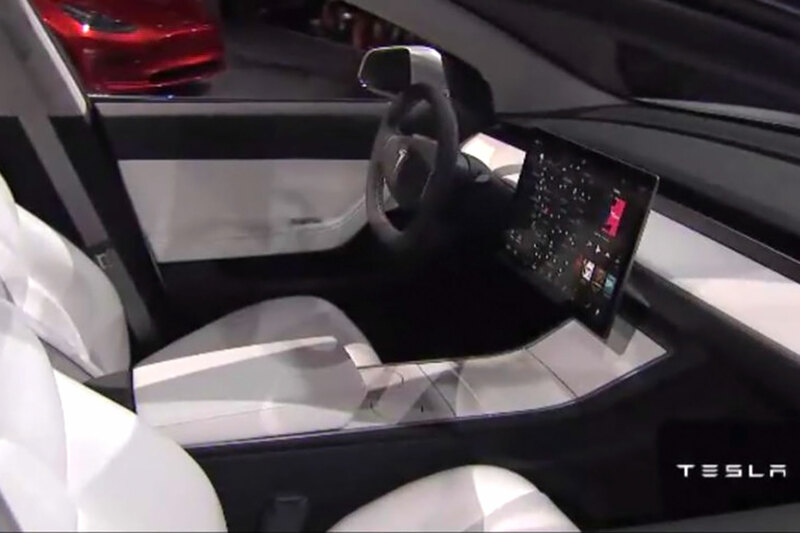 Controversies aside, Tesla and its high-profile boss, Elon Musk, are arguably the most significant market disruptors the automotive industry has seen in recent years. The U.S. firm is among those leading the charge to make cars and the latest technology and connectivity capabilities collide. 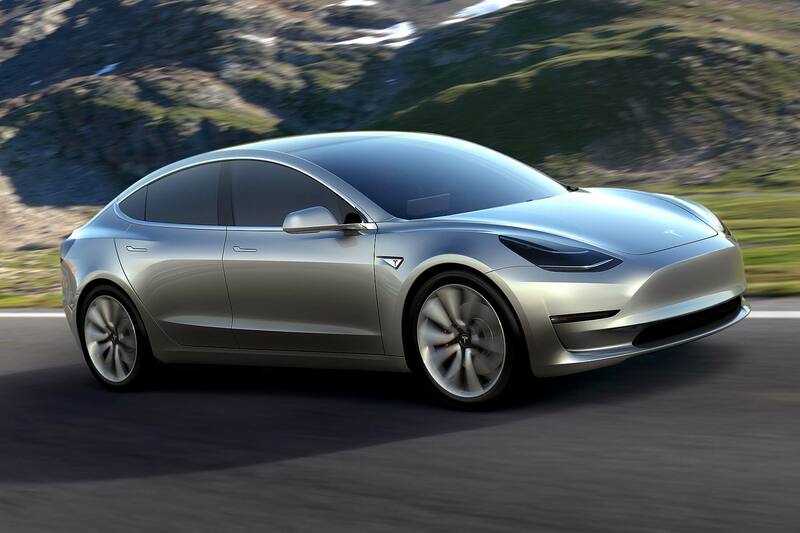 Now, Tesla’s most important new model to date, the Model 3, is set to make its European debut at the 2018 Goodwood Festival of Speed, long before the right-hand drive UK-spec cars are expected to hit driveways. 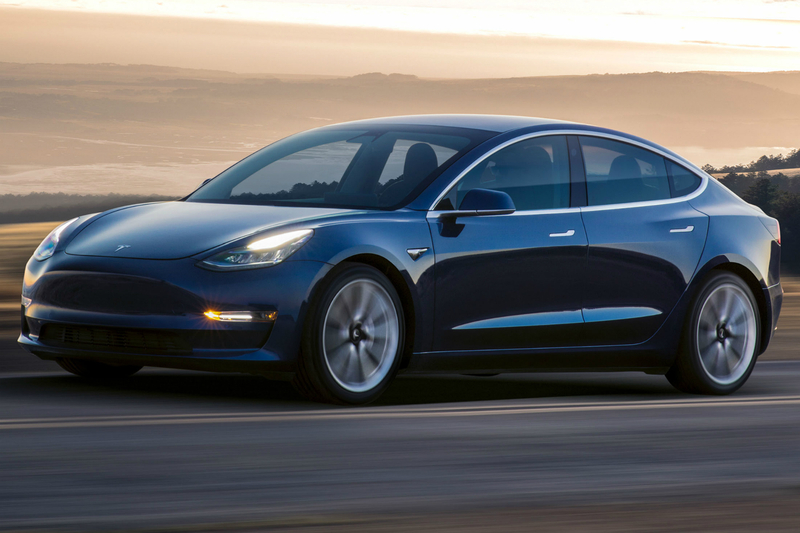 As it stands, the Model 3 at Goodwood will be a U.S.-spec car, rather than the one we can expect to start seeing silently traversing the roads of Britain around 2020. Tesla arguably fast-tracked the EV revolution when it brought the Model S to market a few years back. 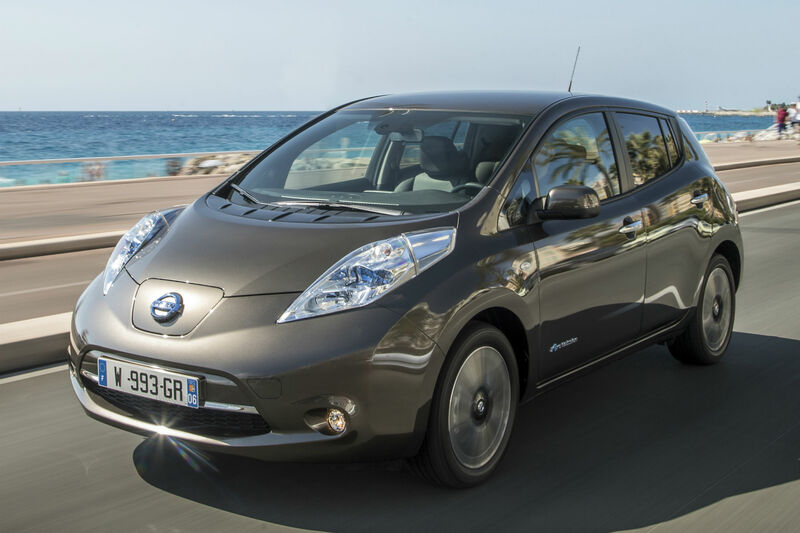 Here was a good looking, cool and, most importantly, viable electric car. 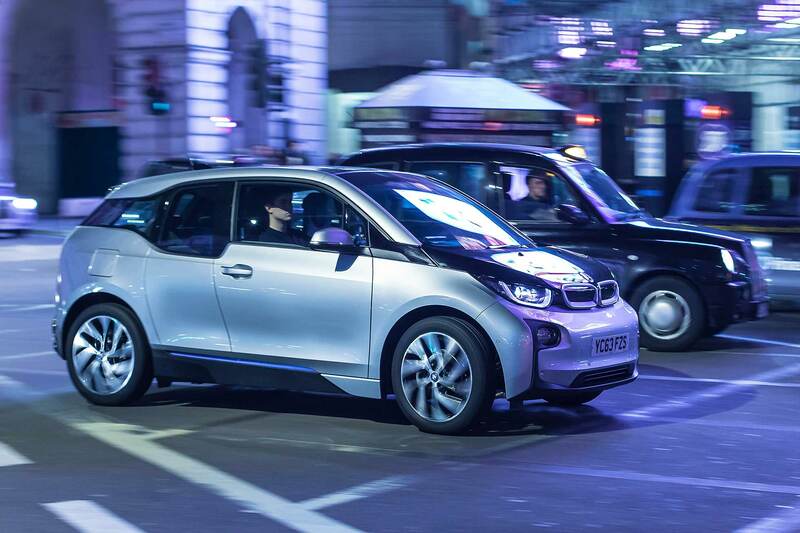 Promise of an expansive charging network, along with the fact that it was a genuinely impressive car, made it popular. But the Model S isn’t what you’d call cheap. The significance of the Model 3 is its primary task: putting the Tesla phenomenon within reach of a much larger consumer audience. It’s expected to cost from around £30,000 (after incentives), or around half the price of the cheapest Model S and be good for a range of between 220 and 310 miles, depending on spec. The car’s first appearance on European soil is an important occasion, then, especially as this comes not long after the factory claimed to hit its 5,000 cars per week production target. We wonder how many of the Goodwood visitors taking a close look at the Model 3 will have a purchase in mind. 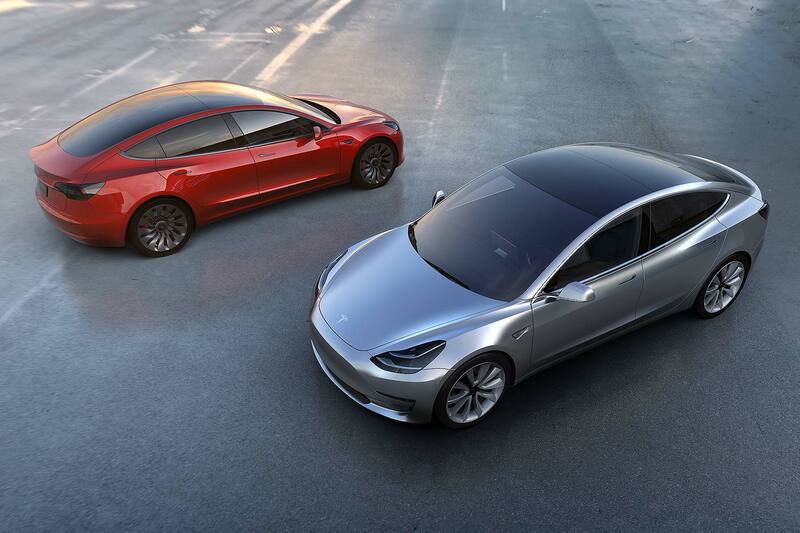 How many would-be BMW 3 Series, Audi A4 or Mercedes C-Class buyers are likely to be swayed to add to the circa-500,000 Model 3 orders rumoured to have been received by Tesla? These are questions that have no doubt been asked and over-analysed by supremo Elon Musk. We look forward to getting a closer look for ourselves.